What is your favorite place to vacation at? I like to go to Virginia Beach with one of my daughters and my mother and anyone else that tags along. We started doing it 2 years ago, and go a few times in the summer. It's a nice drive and its really pretty there. We have this special spot we go to, and the beach isnt crowded. I also like camping in the white mountains. which I will be doing next weekend. I like the nature sounds and no big crowds. But mostly time away from all the stress in life,etc. Looking for new, inexpensive vacation places, Does anyone have any ideas? 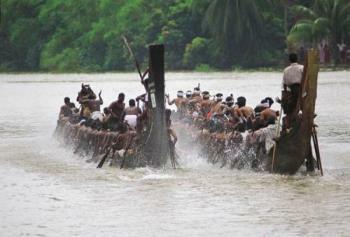 Hi, My favorite place for vacations is my hometown Gods own country- Kerala as it is known. I have been there innumerable number of times but still i am so excited to go there. I have mostly visited all the places there still i think a lot is to be discovered. Well i go with my family. For new, inexpensive vacation places i can suggest India. Happy Mylotting. Hi Kerala is in India only. I have not been able to travel and see many places. I love the ocean though. I have been to Florida several times to Panama City Beach. I would have to say that it is my favorite place to vacation.